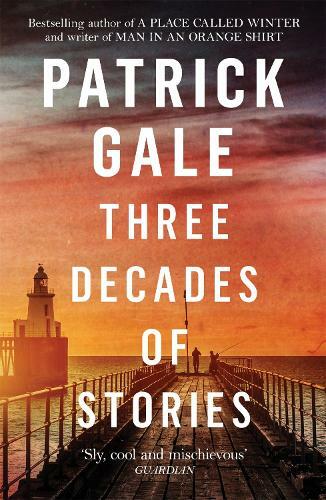 THREE DECADES OF STORIES is a unique collection of Patrick Gale's two volumes of dark, moving, often witty and eccentric stories, GENTLEMAN'S RELISH and DANGEROUS PLEASURES. It also includes the acclaimed long story, CAESAR'S WIFE. Ranging from a lonely prisoner governor's wife, to a housewife desperate for a makeover; a father's trip to his former school to a long-term mistress offered an unexpected marriage, this is a volume that highlights Patrick Gale's skill of digging beneath the surface of relationships and exposing the often brutal mechanisms that drive them. A bestselling British novelist, Patrick Gale was born on the Isle of Wight. Before becoming a writer, Gale made his living with a series of odd jobs including, he writes, being ‘a typist, a singing waiter, a ghost-writer for an encyclopedia of the musical and… a book reviewer’. His first two novels, The Aerodynamics of Pork and Ease were published on the same day in 1986. Since then his books have included: Dangerous Pleasures, Rough Music, Notes from an Exhibition, The Whole Day Through, A Perfectly Good Man, A Place Called Winter and Take Nothing With You.